While we are sometimes no better as parents than our kids are with what we say and how we say it, we have most likely learned first-hand the effects of words spoken. I find myself surprised by not only the mean things my children say but also their loving words as well. 1. Your tongue is TOUGH to TAME.James 3 says, “But no one can tame the tongue…. If anyone does not stumble in what he says, he is a perfect man. 3. Your words are never TEMPORARY.The Bible illustrates the tongue as a sharp sword in several passages, some for good and some for bad. Get a hold of a nice piece of wood and have your child drive a nail into it when s/he says something mean. After sometime, have your child try to remove the nails. You can get the nails out, but the damage is done. 4. 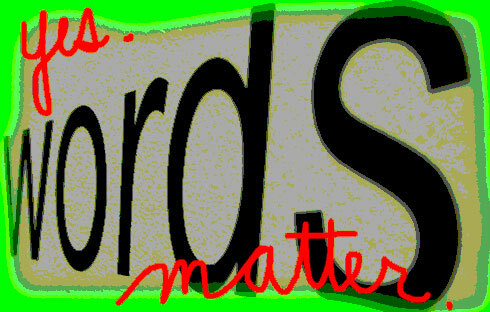 Your words TAILOR.James 3 also says, “Look at the ships also, though they are so great and are driven by strong winds, are still directed by a very small rudder wherever the inclination of the pilot desires.” It is not so much that you have the ability to influence people and situations, but rather that you WILL influence with your words, which, left un-steered, will not likely bring the results we truly desire. The question then remains, in what way will you use your words to tailor? Finally, when you are shocked by what you hear, don’t neglect looking at your own speech to ensure you are modeling righteousness rather than encouraging your child’s sin nature. And be aware of the stages of child development. Empathy for others comes with more difficulty at certain ages.